Well, the Holiday Season is here again! 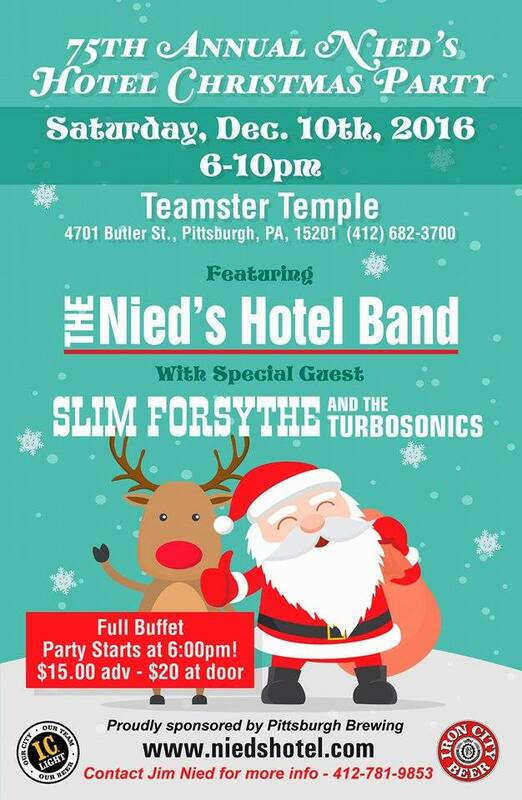 This year we are super exited because we were asked to celebrate with all the good people at Nied's Hotel for their annual Christmas Party. The party will be held at the Teamsters Temple on Butler Street in Lawrenceville. Good ol' Slim Forsythe will join us for few classic rock-a-billy numbers, and then we'll blast through a set of instro classics. Pay one price and get a dinner buffet and all the Iron City you can drink. Purchase your tickets in advance here.